In 2012 ESPN called today’s guest the greatest endurance athlete of all time. Today we welcome Mark Allen to the Final Surge Podcast. Mark has been coaching online since 2001 and recently moved his training platform over to Final Surge. 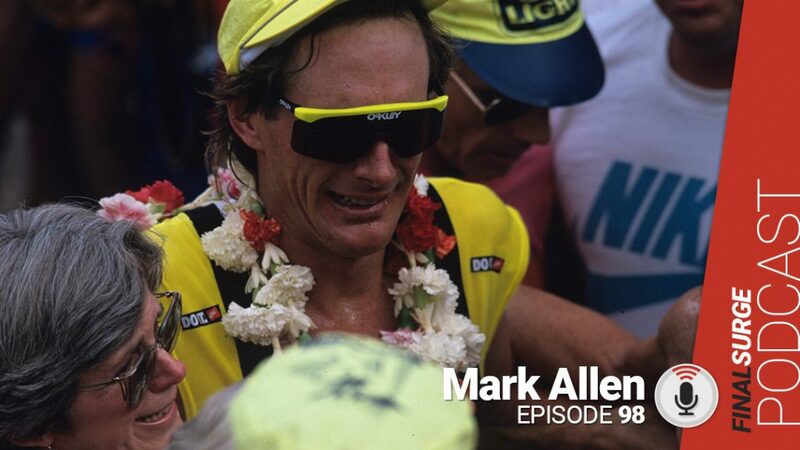 We talk about how he got into triathlons and what it was like in 1989 to break through and finally win his first Kona race. When was your first Ironman? What was your relationship with Dave Scott like? 1989 things really started clicking for you, what changed in 1989 that made you so dominant? Do you contribute the success of that 1989 race to the mindset change or the training longer? Do you feel the changes that you made came from your experience or did coaches help you identify where you needed to make changes? How did you make the transition into triathlon coaching? There are all types of people looking to do triathlons, everything from a hobby jogger looking to do their first local triathlon up to those looking to qualify for Kona. What is your target audience? When someone signs up, what can they expect to see as far as plans? If someone has questions inside the platform what are their options?